By Brodie Badcock-Parks Nature Conservation Intern at Nature Canada. 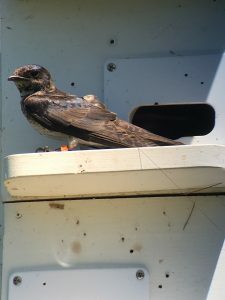 Aerial insectivores (birds that feed on flying insects while airborne, including swallows) are the most rapidly declining group of birds in Canada. Earlier this month, I returned from five days of very exciting fieldwork where, in partnership with Dr. Kevin Fraser of the University of Manitoba’s Avian Behaviour & Conservation Lab, we deployed 54 Motus tracking tags on Purple Martins along the shores of Lake Erie. This was Nature Canada’s fifth year conducting fieldwork to track Purple Martins, but it was one of the first opportunities for fieldwork as part of our exciting new Save Our Swallows initiative. This project, supported by the Ontario Trillium Foundation, aims to mobilize specific communities for the conservation and recovery of Ontario’s declining and at-risk swallow populations. The Motus Wildlife Tracking System is a collaborative research project (operated by our partners at Bird Studies Canada) which tracks the movement of small flying organisms (like birds) across an array of automated radio telemetry receiver stations around the world. This is done with tiny, ultra-lightweight radio transmitters that broadcast a unique signal several times each minute. Consider the small radio transmitter (or Motus tag) like a backpack: first, we affix the backpack on the backs of Purple Martins before they begin their long migration down to Brazil for the winter. If during their journeys, these tagged Purple Martins come within range of one of the over 300 Motus receiver stations distributed throughout North and South America, the signal emitted by their backpack will be detected by the station. When detections across multiple stations are combined, we are able to map the journey of these incredible long-distance migrants across thousands of kilometers! Purple Martins, the largest member of the swallow family, have been experiencing steep population declines since the mid-1980s. It is estimated that the species is currently experiencing a decline of about 4.5% per year in Ontario. The reasons for this decline are complex but are likely due to a number of threats that occur between their North American breeding grounds and South American over-wintering habitat – which is why it is very important to learn more about their movements and behavior through migration-tracking research. 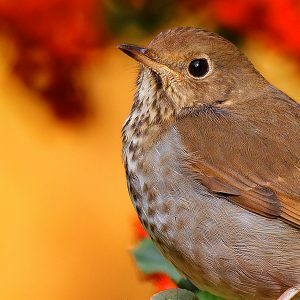 Some other local threats to the population could be due to pesticide use, weather impacts due to climate change, or factors associated with their pre-migratory roosts. Our first set of Motus deployments this season was at Holiday Beach Migration Observatory (HBMO) near Amherstburg, Ontario. Over two days at Holiday Beach, we worked with partners from the Observatory, as well as from the Ontario Purple Martin Association to deploy 31 tags at the HBMO Purple Martin colony. We then traveled up to Sparta (near Port Bruce), where we deployed the remaining 23 tags. In total, we tagged 16 adults and 38 nestlings, including five complete families! One of the reasons for tagging complete families (i.e. both parents & all nestings) is to determine whether entire families migrate as a unit to their wintering grounds (like a long family vacation!) or if they travel separately. 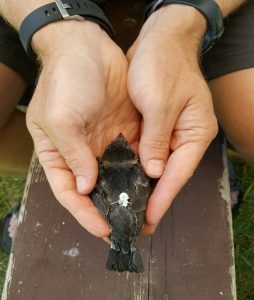 Furthermore, it is our hope that the data that comes out of these deployments will provide more information regarding critical swallow roosts along the Southern Great Lakes. 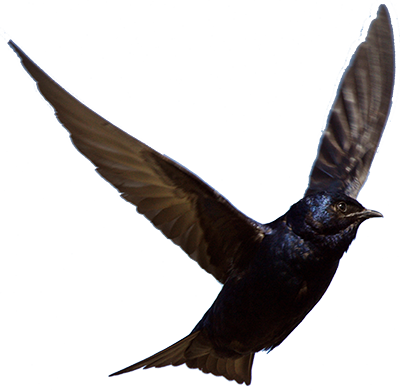 At the end of their breeding season, Purple Martins, as well as other swallows, will form large roosts (think of them like large dormitories) along Lake Ontario and Lake Erie, before they start their journey to the Northern region of Brazil. These roosts are largely a mystery in terms of their composition and dynamics, but one thing we do know is that they contain many, many swallows, including Purple Martin: some roosts contain thousands of swallows, while others contain hundreds of thousands – large enough to be detected by weather radar! Overall, Nature Canada’s trip down to Southwestern Ontario to deploy Motus tags on Purple Martins was a big success! 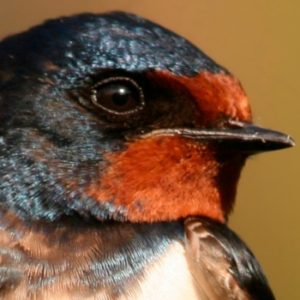 It is our hope that through this exciting research, we can learn more about the life cycle of these declining species, as well as focus on ways that we can work together to save our swallows in Ontario.